Young children who experience less stimulating environments than their peers quickly fall behind academically and socially. UNL is leading a national research initiative to determine what families, schools, communities and the nation can do to give all children the best chance to succeed in school and in life. 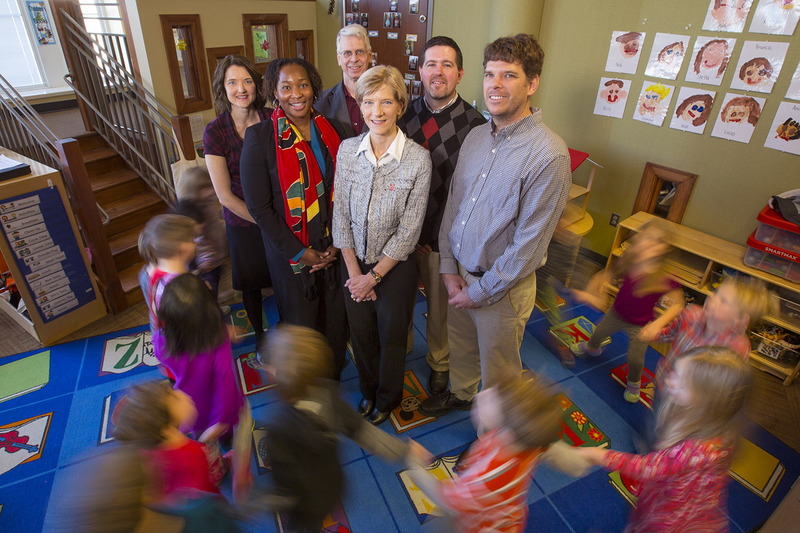 Susan Sheridan, director of UNL’s Nebraska Center for Research on Children, Youth, Families and Schools, leads the Early Learning Network, a $26 million multi-institutional research and policy effort to improve children’s learning outcomes. It’s funded by the U.S. Department of Education’s Institute of Education Science. UNL’s share is $6.5 million. Sheridan’s Nebraska team also is conducting research to understand the factors – from classrooms to national policies – that influence children’s educational progress. The research covers multiple educational environments, including rural settings, and tracks children from pre-kindergarten programs through third grade. “The overarching goal of our research, both in Nebraska and nationally, is to understand what it will take to close the achievement gap and sustain positive outcomes for disadvantaged children,” Sheridan said. Although studies show that pre-kindergarten programs effectively close gaps formed early in life, those benefits diminish as children progress through elementary school. Tracking children’s experiences over time will help researchers understand why. UNL’s national reputation for both rural education research and putting early education findings into practice contributed to its leadership role, Sheridan said. The Nebraska team will guide the network’s efforts to develop strategies and communicate results to federal policymakers. “For any real, significant lasting change to occur, we have to be very serious about changing the landscape of early childhood education in this country,” she said. Nebraska’s team includes researchers from UNL’s Nebraska Center for Research on Children, Youth, Families and Schools, the University of Nebraska’s Buffett Early Childhood Institute and the NU Public Policy Center. UNL’s team will coordinate research and outreach among the other Early Learning Network collaborators: the University of North Carolina at Chapel Hill, University of California, Irvine, Ohio State University, University of Virginia and MDRC, a policy research organization.